The letters of the Hebrew alphabet is unlike any other alphabet in existence. In addition to its functional importance as the component of a word, each Hebrew letter is also a channel to a unique form of spiritual energy. The Zohar was originally written in the ancient language of Aramaic—one of the oldest known languages in history. It has existed in written form since the beginning of writing itself; as a spoken language, it very likely existed from the start of human history. Although most of the Bible was originally written in Hebrew, portions of the books of Daniel and Ezra are in Aramaic. These books include some of the best-known biblical passages, including the description of Belshazzar’s feast and the handwriting on the wall. For many centuries, Aramaic remained the dominant language among the people of Israel, both for worship and everyday life. This was true in the land of Israel itself, as well as in Babylon and other lands to which the Israelites were exiled. Among the Dead Sea Scrolls there are many Aramaic texts. These provide examples of Aramaic as it was spoken by the people of Israel, including Jesus and his disciples. "The more we know about the letters, the richer our connection through them becomes, but their intrinsic power is not a function of any knowledge on our part." Aramaic is a sister language to Hebrew that employs the letters of the Hebrew alphabet, The letters of the Hebrew alphabet are unlike any other alphabet in existence. In addition to its functional importance as the component of a word, each Hebrew letter is also a channel to a unique form of spiritual energy. This is true whether or not we know what the letter sounds like or how it fits into a given word. The more we know about the letters, the richer our connection through them becomes, but their intrinsic power is not a function of any knowledge on our part. As to the reason Rav Shimon bar Yochai chose to reveal the Zohar in this language, kabbalists refer to the Zohar’s comments in the section of Lech Lecha (Genesis). The Zohar explains that angels are forces of energy, both positive and negative, that exert powerful influences over our lives. The Aramaic language is a protected habitant from the angels, because the angels do not “recognize” it. 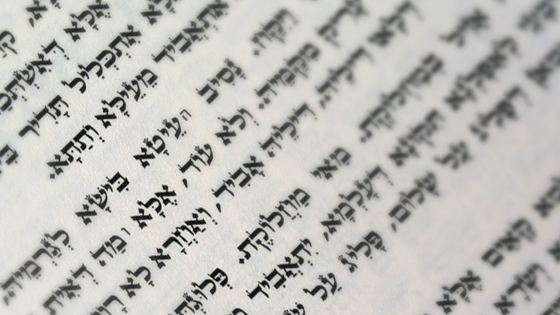 Indeed, Aramaic is a gift—just as the Zohar itself is a gift—that allows us to make a more powerful connection in prayer and meditation. The gift is for all humanity, not just for the few who understand Hebrew or Aramaic. 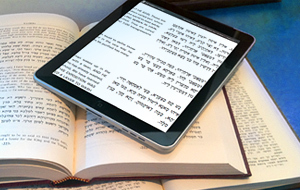 Learn more about how you can connect to the power of the Aramaic language, here.